How Does My Working History Affect My Claim? Benefits from the Social Security Administration (SSA) remove some of the financial strain from individuals and families when disability strikes. Program eligibility depends on various factors, including previous employment for adults who apply for Social Security Disability Insurance (SSDI). Work history, including the kinds of jobs you have traditionally held, can also play a role in whether you are able to prove your disability. Benefits may be available to you through the SSDI and/or Supplemental Security Income (SSI) programs. SSI requires no work history at all, because it is a program for the most financially needy among the disabled population. For SSDI, you must have a fairly recent work history and must additionally have paid Social Security taxes on your income. Your work history translates into work credits with the SSA, and these credits make you a “covered” or “insured” person for SSDI as well as old age or retirement benefits. Basic SSDI eligibility requires a disability so severe that you cannot participate in “substantial gainful activity” (SGA). This essentially means that you are unable to earn a living because of your medical conditions. You may qualify under one of the SSA’s Blue Book disability listings, which proves you cannot perform SGA work and are therefore entitled to benefits. Not all applicants qualify through the Blue Book though. (See more on the Blue Book here: https://premierdisability.com/what-is-the-blue-book/). Most claimants must instead go through a Residual Functional Capacity (RFC) evaluation and be granted benefits under a Medical Vocational Allowance (MVA). To approve an MVA, the SSA must see (a) that you can no longer work in your traditional field of employment, and (b) that you can’t succeed in any other field either. To make this determination, adjudicators will review your age, education, job qualifications, and employment history, in addition to your medical records. These factors combined must show that you are not capable of performing SGA level work. Because of this, older applicants and those with fewer transferable job skills are more likely to achieve benefits through an MVA. No matter your work history, don’t be intimidated by the disability application or eligibility review processes, especially since you do not have to go through it alone. An advocate or attorney can help you make a stronger argument for eligibility. Please contact us for a free case evaluation if you are looking for help with an application, appeal, or if you are waiting to be seen in front of a judge. Who is eligible: Widows and widowers, children, and other dependents of a Social Security recipient. What you get: Monthly payments based on the Social Security recipient’s work history. How it works: After a death in the family, many people fail to take advantage of money that they are entitled to receive from the Social Security Administration. Referred to as “survivor benefits,” these payments are made to the spouse of the deceased wage earner and any children or stepchildren under the age of 18. To qualify, the widowed spouse must be over the age of 60 or over the age of 50 and disabled. If the spouse is caring for children of the wage earner that are under the age of 16, then these age restrictions do not apply. And in some cases, stepchildren, grandchildren, or step grandchildren can also collect. If a child is severely disabled, he or she can also collect on a parent’s Social Security for as long as needed. Tip: Divorce does not necessarily disqualify you from collecting benefits. You can collect on an ex-spouse’s Social Security record if you were married for more than ten years before you divorced and the benefits you are entitled to from your own work are less than that of your former spouse. Who is eligible: People with mobility problems and seniors. What you get: Transportation to and from your home to appointments and other activities. How it works: “Paratransit” is the official term for transportation provided by local communities for those who cannot drive or comfortably use regular public transportation. These services vary by community, but is typically a door-to-door van service available by appointment. The services are provided by local government agencies, but they receive federal funds intended to guarantee access for the disabled and elderly. To find out more about the federally funded transportation options in your area, contact your local Area Agency on Aging. More transportation resources are available by searching the Department of Health and Human Service’s Eldercare Locator on the topic Transportation. Tip: These services typically require advance planning. It works best if you establish a regular weekly schedule, so you don’t have to remember to call each time. Who is eligible: Veterans with a disability. What you get: A loan or loan guarantee to buy a house or car or modify an existing house or car. How it works: The Veterans Administration provides extensive services to veterans who are considered to have a service-related disability that prevents them from performing normal, everyday activities. But this doesn’t mean that you had to become disabled during service. For many veterans, a mental, emotional, or physical condition that began decades before in the military only becomes disabling with age. 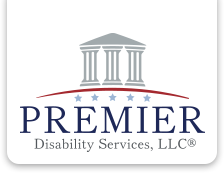 In this case, you may qualify for service-connected disability benefits at the point that your condition actually becomes disabling. Tip: If you live with family members, the grants may also be used to modify the home you’re living in or the car in which you’re being driven, even though it’s not owned by you. Who is eligible: Those over 60 or disabled. What you get: Free or low-cost home and yard maintenance and moving help. How it works: If you are struggling to maintain your home, it may be possible to obtain help with all those household tasks that have become difficult or impossible to cope with. Under the auspices of the Older Americans Act, many Area Agencies on Aging offer help with household chores as part of the umbrella of services they offer to help people live independently in their homes. In Florida, for example, the Mid-Florida Area Agency on Aging covers a wide array of household chores including seasonal cleaning, yard work, and household repairs that don’t require a specialized license. They will sometimes even cover pest control if it is part of overall house maintenance. They will also send someone out to help with lifting and moving furniture, appliances, and other heavy objects. In some areas, the Area Agency on Aging charges a fee for these services, but it’s typically much less than you would normally pay. In Minnesota, for example, one agency charges $15 an hour for snow removal and yard work. Some programs are free but require participants to pay for the services upfront, then apply for grants for reimbursement. In many cases, the minimum age to qualify is 60. Every Veterans Day, the nation honors the brave men and women who risk their lives to protect our country and the freedoms we cherish. The Social Security Administration honors veterans and active duty members of the military every day by giving them the support they deserve. A vital part of that is administering the Social Security disability program. For those who return home with injuries, Social Security is a resource they can turn to for disability benefits. The “Wounded Warriors” website (link below) has answers to many commonly asked questions, and shares other useful information about disability benefits, including how veterans can receive expedited processing of disability claims. Benefits available through Social Security are different from those available from the Department of Veterans Affairs and requires a separate application. An expedited process is available to military service members who become disabled while on active military service on or after October 1, 2001, regardless of where the disability occurs. Even active duty military members who continue to receive payment while in a hospital or on medical leave should consider applying for disability benefits if they are unable to work due to a disabling condition. Active duty status and receipt of military pay does not necessarily prevent payment of Social Security disability benefits. Although a person cannot receive Social Security disability benefits while engaging in substantial work for pay or profit, receipt of military payments should never stop someone from applying for disability benefits from Social Security.